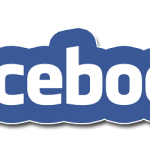 Facebook is one of the frequently used social sites in the present time. It allows it users to create a free profile; the business is also using Facebook for a different purpose as well as individuals. One of the great feature provided by the Facebook is to create a Facebook page; nowadays everybody creates a Facebook page which is used to represent their popularity before you friends. Business uses the Facebook page to show their popularity and their human strength they get Facebook page likes by a different method, but an average person cannot do so. So when we create a Facebook page for ourselves, we cannot get the Facebook likes as the companies get. There is a big problem with the Facebook page to invite our Friends that is Facebook does not allow it, users, to invite all of the friends at once. Yes, we cannot invite all friends from a Facebook profile at once; instead, we have to ask each friend separately, Imagine if one have hundreds or thousands of friends then he has to invite all of his friends separately which is very time wasting and is very annoying. There are certain methods to invite your friends on Facebook at once, but most of them are working by using some scripts. By using these methods, our Facebook profile can also be blocked. Then how can one invite his all friends if he has 1000 friends it mean if he invites his friends individually then he has to click for 1000 times? 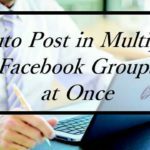 But do not worry if you have a Facebook page then I am going to tell you a very easy method to invite all of your Facebook friends at once without using any scripts. First of all, you need to open Google Chrome. If you are not using this then first install it. After you have the Google Chrome installed on your computer launch it. Click here when you open this link there will be a page open click on “Add to Chrome” button at the top right corner of the Chrome. Log in to your Facebook account and click the small “TICK” button at the top fight side of the URL bar. Now select your Facebook page for which you want to invite friends. Click the default invite button of a page, and Facebook will open a new popup to select your friends. So friends this was all about How Can I Invite All Friends At Once to like My Page. If you are a business man or a single Facebook user, then you can use this method to send friends likes to your Facebook friends it is the easy and the working method. 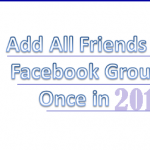 You can use the “Facebook Invite All” to invite your all friends for your all Facebook pages. I hope that you have enjoyed the method to invite friends at once without using any scripts. If you have any question or need any help then just drop a comment. very usefull for me i was searching a software for this but know got this trick Thanks !